One of the most serious theft crimes in New Jersey is Theft by Extortion. It goes without saying that it is against the law to threaten a person in order to obtain money or property. Another word for this kind of behavior is “blackmail.” Common examples of blackmail or extortion include threats to physically harm someone else, file criminal charges against them, or disclose damaging personal information about them. As these examples suggest, coercion can involve either words or actions; even if you did not explicitly threaten the other person, your intent to extort may be implied from your conduct. This is where things get tricky: it’s entirely possible that you were not intentionally extorting the other person; perhaps you were merely a bit aggressive when asking for an item. An experienced lawyer can explain your situation to the prosecutor and, if necessary, persuasively argue your case to a judge. The lawyers at the Tormey Law Firm defend clients against theft charges throughout Essex County, NJ, including Orange, Bloomfield, and Caldwell. We focus a large part of our practice on this particular area of law and we have a proven track record of success in Theft by Extortion cases. Additionally, we have a former county and municipal prosecutor on staff, so we know how to analyze your case from a unique perspective. Call the Tormey Law Firm now at 201-654-3464 to discuss your Theft by Extortion charges with a member of our litigation team. Commit a crime against another person. This typically involves inflicting bodily injury or physically restraining the other person. Accuse another person of a crime or cause criminal charges to be filed against another person. Expose a secret about another person. It does not matter if the information revealed is true or untrue. Take or withhold action as a public official. Government officials cannot abuse their authority of office for monetary gain. Encourage a strike, boycott, or other collective action – unless the property demanded will benefit the group. Testify or withhold testimony with respect to another person’s legal claim or defense. Take any other action that would materially harm another person. In many of these instances, the conduct is legal absent a threat. 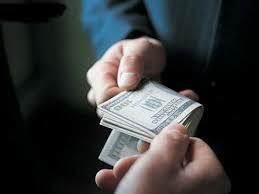 It is only when the conduct is accompanied by a threat or demand for money that it becomes extortion. For example, you might ordinarily be allowed to reveal embarrassing information about another person; however, you cannot blackmail the other person in exchange for not revealing the information. Theft by Extortion is classified as a second degree felony. Since this crime involves threatening conduct or words, it also carries severe penalties. A conviction can result in a sentence of 5–10 years in New Jersey State Prison, as well as a fine of $100,000. Additionally, Theft by Extortion is covered under the No Early Release Act (NERA). This means that if you are convicted, you will be required to serve at least 85 percent of the sentence before becoming eligible for parole. You can only be convicted of Theft by Extortion if your demand for the money or property was illegitimate. It is an affirmative defense to a charge of Theft by Extortion that you attempted to obtain the property through honest means. For example, you might have merely been seeking lawful compensation for property or services already rendered. Theft by Extortion is related to criminal coercion because both crimes involve threatening conduct. The main difference is that Criminal Coercion necessarily involves restraining the other person’s physical movement, whereas Theft by Extortion can involve threatening words as well. The Tormey Law Firm is prepared to combat your charges and beat the prosecution at their own game. Call us today at 201-654-3464 to discuss your Theft by Extortion charges over the phone, or email us to schedule a free consultation at our office in Newark.